Achieving success is not easy. There is a lot of struggle involved, and one has to put a lot of hard work to get success. But there are some people who are very lucky and do not need to work hard to achieve success. Saleh is one such man. He uploads funny videos on YouTube channel called Fouseytube. His YouTube channel has 9,808,822+ subscribers and 1,431,003,297+ views. Fouseytube YouTube Channel was launched in 2011, March 21. The channel went on to become one of the popular channels on YouTube and created a wave in social media. His ideas are liked by people who continue to like and share his videos. Yousef Saleh Erakat grabbed the attention of the audience with his funny and meaningful videos. Yousef Saleh creates his videos and uploads them to YouTube. He markets the videos on social networking sites such as Facebook, Twitter, Tumblr. He posts about his new uploads regularly on his Facebook page, Twitter account, etc. He understands that people want entertainment from his videos and they want something new. He undergoes huge pressure to come up with something that his fans do not expect. He also realized that he cannot force the videos to go viral, but if the content is good, they will go viral on their own. Videos become popular when the characters in them can be identified by the audience. If we see the videos of Saleh, we can found that the characters he creates in his videos are all that we see around us every day. The dialogues and the practices are also common in the lives of people. Every viewer can relate themselves to their family when watching his videos. Another reason for the success of this young man from California on YouTube is that he maintains good relationships with his fans. His videos deliver a moral message. He ensures that his videos are unique. He tries creating content that helps connect with the audience. Saleh’s marketing strategy includes uploading the videos regularly. He usually uploads the videos one time in a week regularly. He also engages his audience with frequent posts on Pinterest and Twitter. He learns lessons from the failure of his videos. He tries to understand what his audience wants from him and offers them the same in his next videos. The success of any YouTube channel depends on the feedback from the audience and to maintain good relationships with them. Saleh follows this. He responds to the comments of his fans regularly and listens to them. Buying views will not help in the long run. Talking to the audience, maintaining good relations with them and listening to their criticism, answering their questions, etc. will help to be connected. He calls his fans ‘Brush Bruhs’. He never neglects to thank his followers and subscribers who made this success possible. End cards for any YouTube video should help in increasing the subscriptions. These also should help the audience to know about the other videos on the YouTube channel. Yousef Saleh uses the end cards, annotation, and other features effectively. He requests the audience to the subscriber to his channel. He also gives them the Twitter, Facebook and Instagram account details so that they can follow him on these social sites. He uses the annotations to drive the audience to the best of his videos and other playlists. 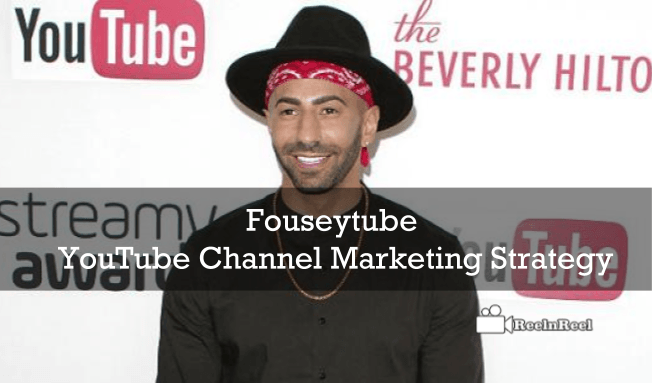 Yousef Saleh also started the vlog channel DoseOfFousey in the year 2014 which is a multiple time a week vlog channel. His Facebook followers are around two million and Instagram followers are around 2.3m and Twitter followers are around 1.08m. What is Rewarded Video ?